You’re relaxing on the beach, soaking up the sun with your toes in the sand. All is right in the world. Then suddenly…hunger strikes. Have no fear! You don’t have to stray too far from your little patch of paradise to satisfy your cravings. Try these mouth-watering concessions just steps away from the beach! Know what would make your beach day even better? Bacon—it makes everything better! 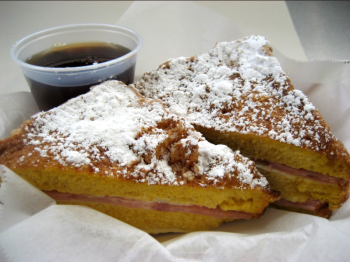 Known to be one of OC’s most popular food trucks, Bacon MANia brings heavenly-smelling goodness to the beach every day with a permanent location across from the Hilton Waterfront Beach Resort. Indulge in comfort food favorites like a B.L.T. and loaded fries or experience bacon like never before with creations such as bacon brownie bites and bacon cheese strips! 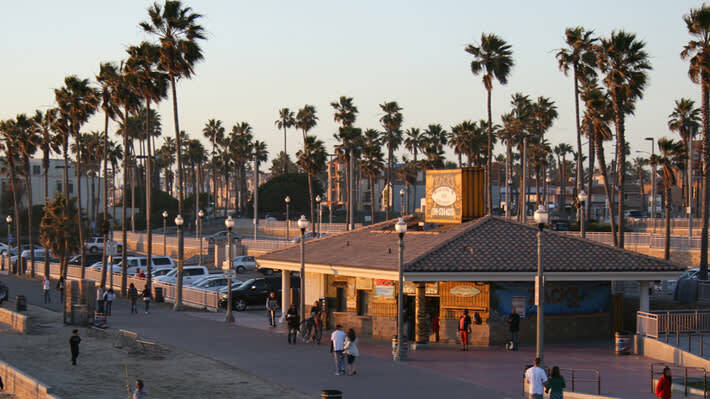 Dwight’s is one of the oldest businesses in Huntington Beach, serving up classic American dishes by the pier since 1932! 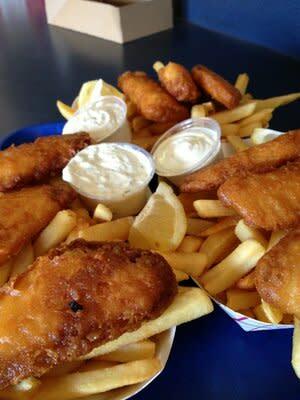 Options include fish and chips, fries, burgers, and everything in between. However, locals and visitors alike rave about Dwight’s world-famous cheese strips. 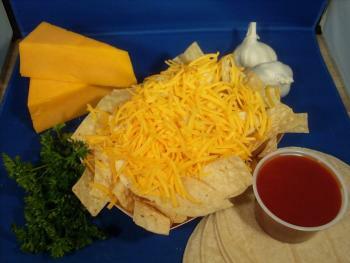 Tortilla chips covered with mountains of cheddar cheese and accompanied with sauce for dipping make the perfect snack. Conveniently, Dwight’s also offers affordable bike rentals! The menu has such a large variety, there is sure to be something for everyone at Kokomo’s. The extensive breakfast menu contains burritos, combos, omelets, and even pancakes! Yes, you can enjoy a stack of chocolate chip pancakes as you watch the waves roll in. For lunch or snacks, choose from sandwich melts, salads, quesadillas, and many different sides. Cool down with sweet desserts like ice cream sundaes or Hawaiian shaved ice! Zack’s combines beach fun, rentals, and food all in a cozy one-stop shop. 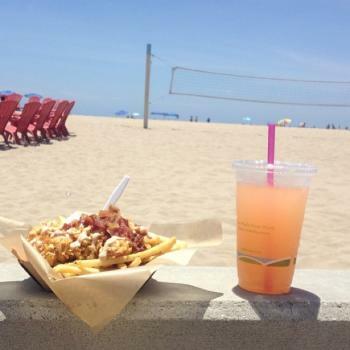 Beach specialties include SoCal staples like burgers, taquitos, and tacos. Be a little adventurous and try a kebab or falafel dish! Zack’s can also cater your next big event on the beach. While you’re there, consider renting out some surf gear, sports equipment, or bikes! Better yet, how about some surf lessons with a side of chili cheese fries? Don’t forget that drinking plenty of fluids is important for a healthy beach day. Each of these locations also has refreshing beverages, soda, and bottled water. Staying hydrated in HB is fast and easy! Have you enjoyed any of these bites at the beach? Share your recommendations below or on social media!